This week I was lucky enough to catch a screening of a new one-hour documentary called The Nature of Cities, made by local Boulder filmmaker Chuck Davis along with urban planning professor Timothy Beatley of the University of Virginia. Hotel Département Hauts de Seine, copyright Véronique Lalot. The film follows children exploring some of San Diego’s many canyons, cataloging the native plants and insects in these crevices that until recently were considered off limits and dangerous for children. Now residents are making footpaths and recreating below the rim of the urban surface, exploring the wonders of nature literally in their own backyards. In other cities we saw bike paths that link nature-friendly locations or housing developments integrated with waterways and gardens. 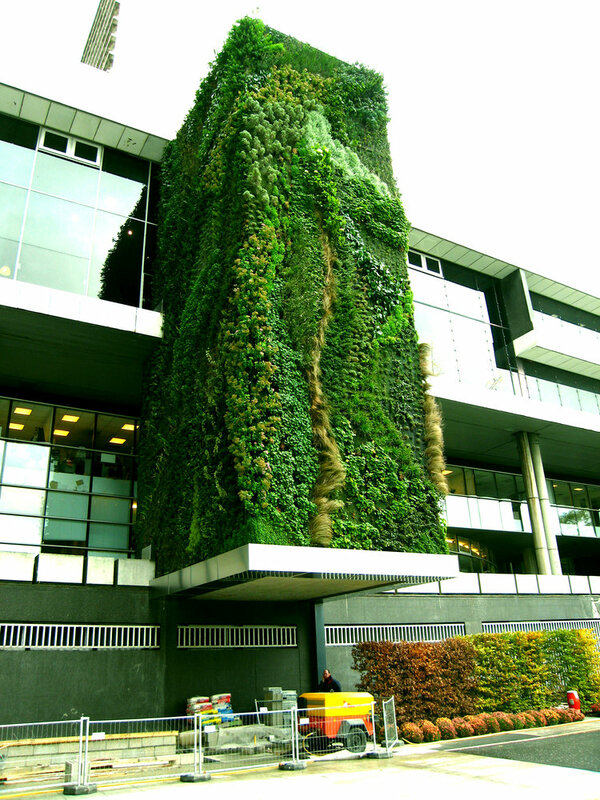 I learned the difference between “sustainable design,” which may be energy-efficient but at the same time boring or nature-deficient design, and “biophilic design,” which incorporates love of nature into the buildings themselves. Such a simple—if profound—change to make in our mind-set about architecture! Some wonderful commentary is provided by Richard Louv (Last Child in the Woods) and Stephen Kellert (Biophilic Design). We have kind of a bias in this country that if you want nature, you can’t have a city—that these are polar opposites. We need everyday nature, we need ordinary nature, we need nature as an integral and ongoing part of our lives. Bats streaming out from the Congress Avenue Bridge, Austin, TX. Photo from Bat Conservation International. How can we immerse ourselves in nature every day instead of thinking we have to get in an SUV and drive fifty miles to find it? We ought to be immersed in it! It ought to be part of our lives! For more information: View the movie trailer at The Nature of Cities website.